It’s one thing to read about the ferocity of predator animals when they assail, possess, and devour their food. It’s quite another to see it for yourself and hear the fearsome sounds that come through those menacing teeth. Don’t miss your chance to witness the power of lions, tigers, hyenas, and more at the Predator Feed, one of Out of Africa Wildlife Park’s most popular events. As the feeding crew arrives, arms heavy with huge slabs of meat, you’ll observe firsthand the predator instinct of food possession. With great effort, meat is flung over the fence where watchful and anxious predators prepare to gorge themselves in dominating fashion. Watch these mighty masters of the wild display their catch as if they were proudly showing off the fruits of a treacherous hunt. As you follow the animal caretakers on this walking tour, you’ll observe a variety of different predators that will display their unique personalities. 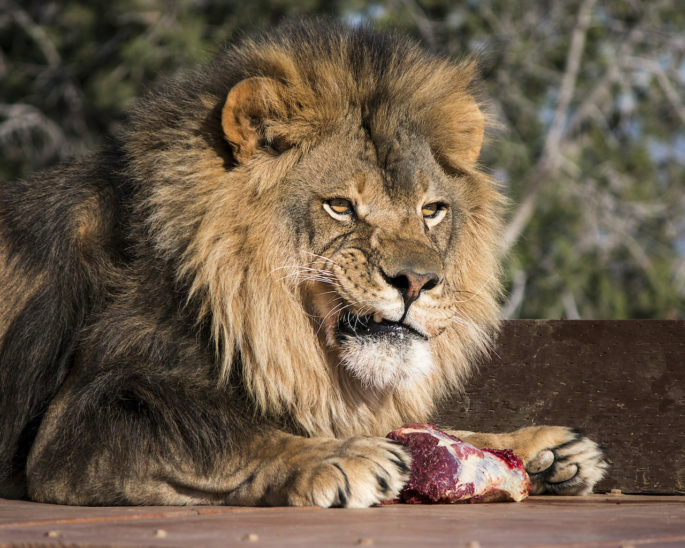 With nearly 800 pounds of raw meat delivered to a variety of animals, you’ll have plenty of opportunities to take amazing pictures while bears chow down, hyenas laugh, and lions roar. 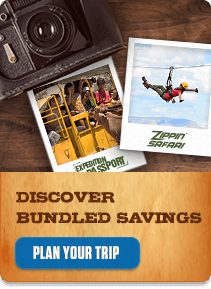 This spectacular adventure happens three days a week, so you won’t have to rely on happenstance to catch our Predator Feed event. Showtime: 3:00 p.m. every Wednesday, Friday, and Sunday. Good to know: This show is a walking adventure that begins at Tram Stop 2. Some trams are available on a first-come, first-served basis and for those with walking restrictions. Average tour time is approximately 40 minutes. The Predator Feed show is included with general admission.